Royal Enfield has announced the online sale of 15 unique Stealth Black Classic 500 motorcycles. 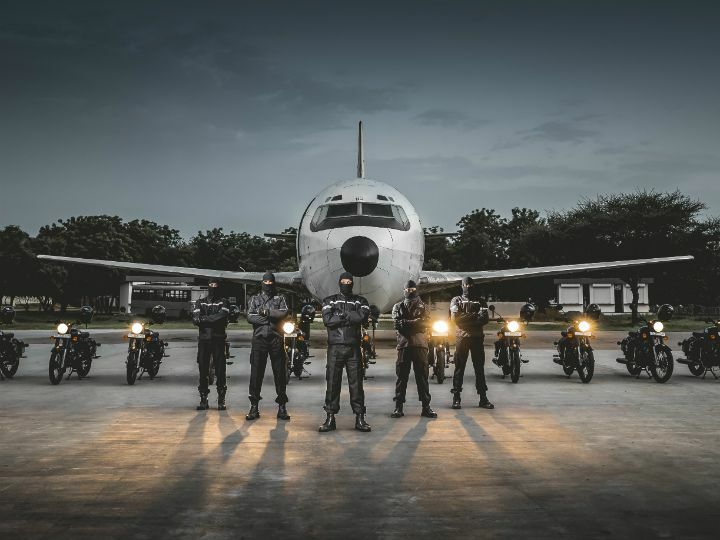 The 15 motorcycles were part of National Security Guards’ motorcycle expedition ‘Fight Against Terror’, held in September 2017. The online sale has been christened ‘Tribute to the Bravehearts’ and will start on December 13. If you’re interested in purchasing this unique Royal Enfield Classic 500, you will have to register yourself on the official Royal Enfield website prior to December 13. Once registered, you will receive a unique code with which you can participate in the online sale. The special Royal Enfield motorcycle has been priced at Rs 1.90 lakh. The money generated from the sale will be donated to Prerna, a non-profit initiative supported by NSG for differently abled children. To make the bike stand apart from the standard motorcycle, it will flaunt special insignia commemorative of the ride and the journey undertaken by the commandos across India. The 15 unique Royal Enfield Stealth Black Classic 500 motorcycles were part of the 40 day ride in which they covered more than 8,000km across India. The main purpose of the ‘Fight Against Terror’ ride was to spread awareness about fighting terrorism and serving the nation. The journey was undertaken by 15 Braveheart Black Cat NSG Commandos and was flagged off on September 7 by Kiren Rijiju, Union Minister of State for Home Affairs of India. The riders rode across Mumbai, Gandhinagar, Hyderabad and Chennai bases and culminated their expedition on October 16 at the NSG headquarters in Manesar, Haryana, wherein they were felicitated by the Vice President of India - Venkaiah Naidu. The Royal Enfield Classic 500 is among the most popular motorcycles in the iconic two-wheeler manufacturer’s portfolio and was recently updated with a rear disc brake. Royal Enfield bikes were hugely popular with army personnel and the company has a long standing history with the Indian armed forces which started in 1955.